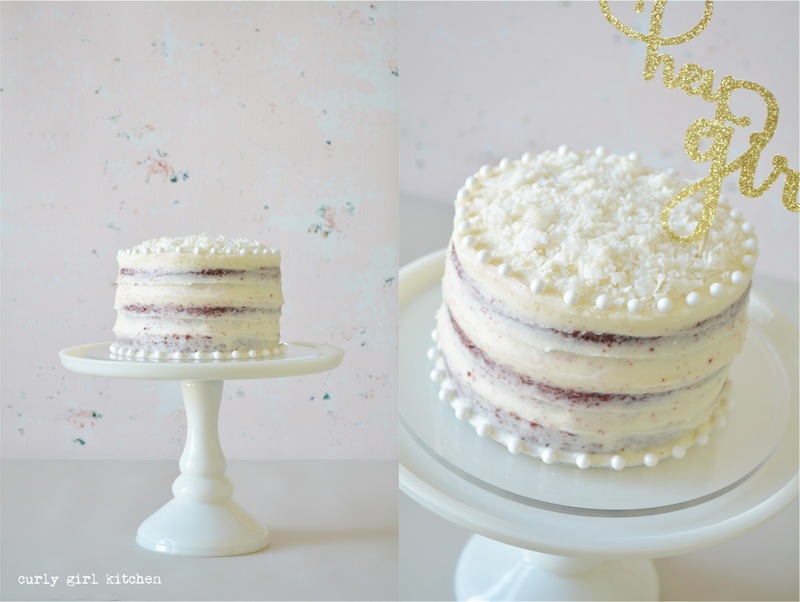 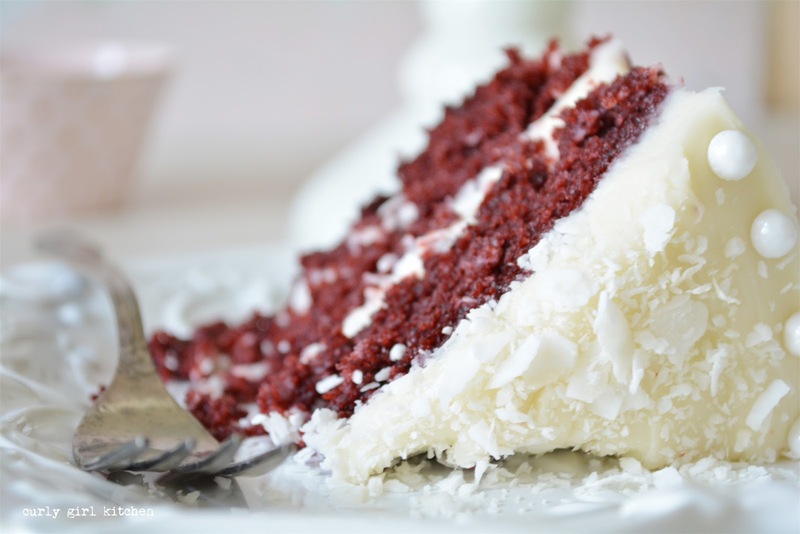 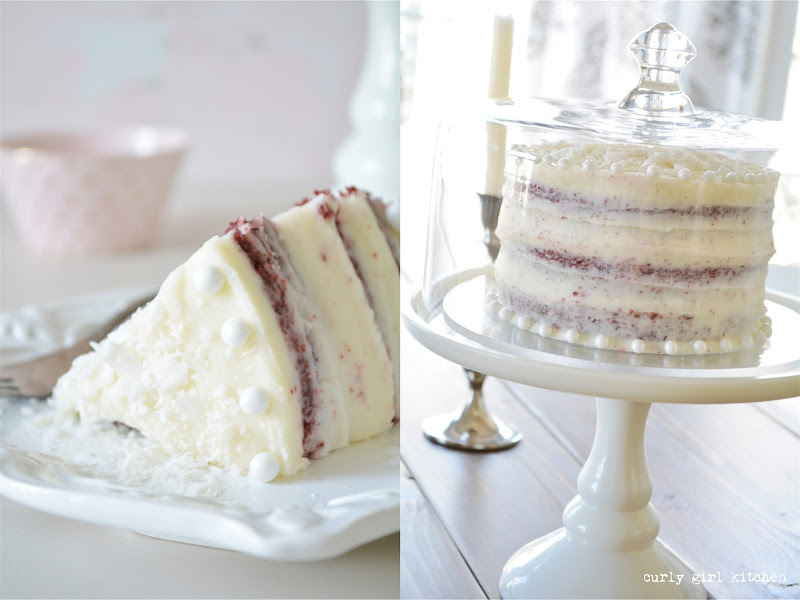 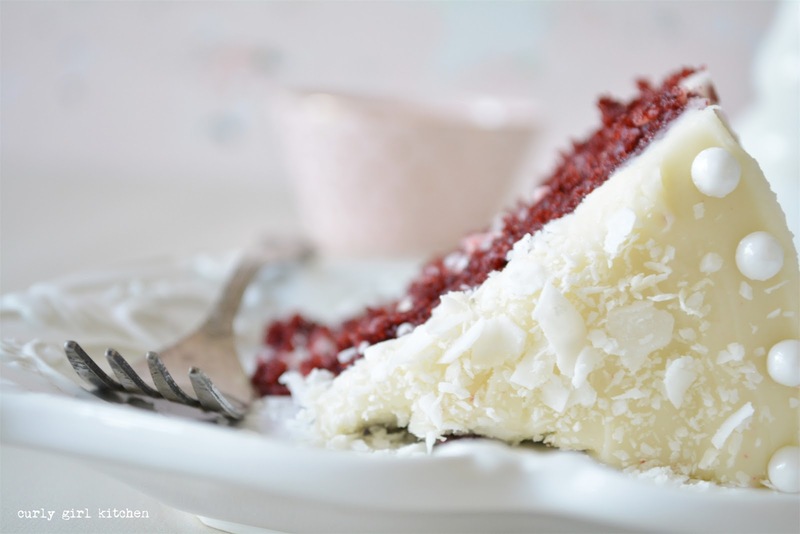 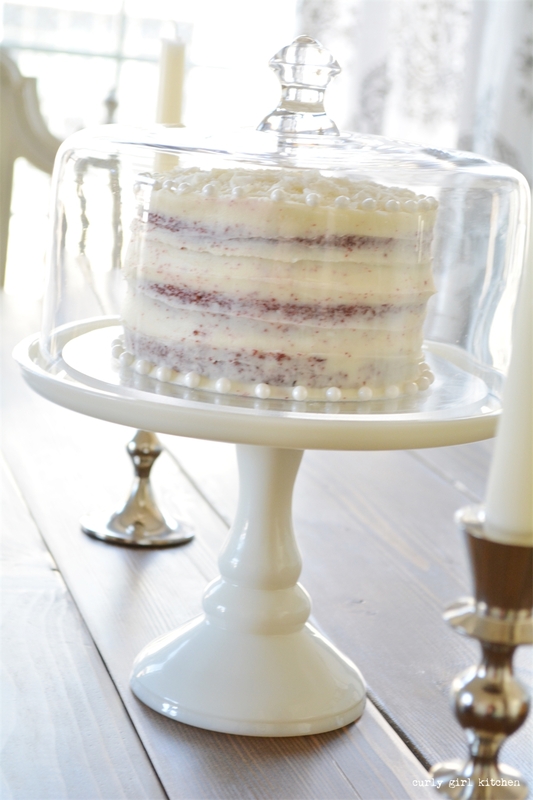 I really love red velvet cake paired with crunchy toasted coconut, and you can find my recipe for it here. 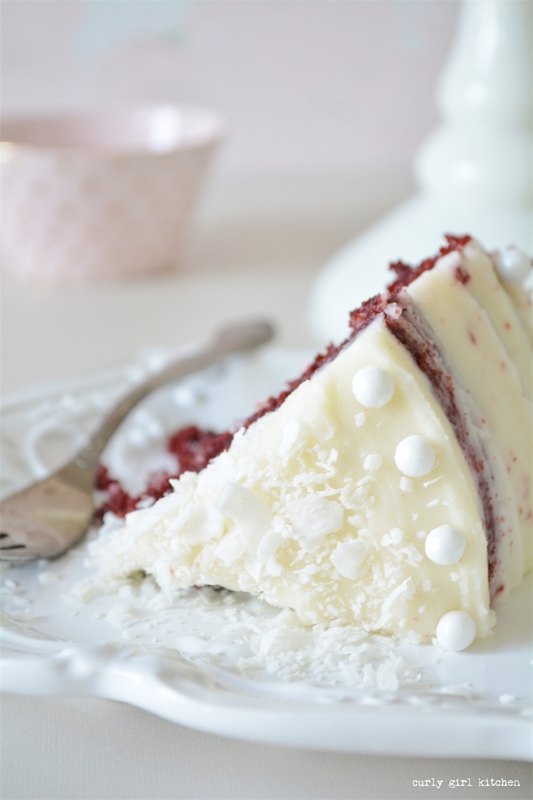 It's just a beautiful combination with the moist and fluffy, lightly cocoa-ed cake and the creamy cream cheese buttercream. A few sugar pearls adorned the cake like a pretty little necklace, and the Hey Girl topper was just for me. 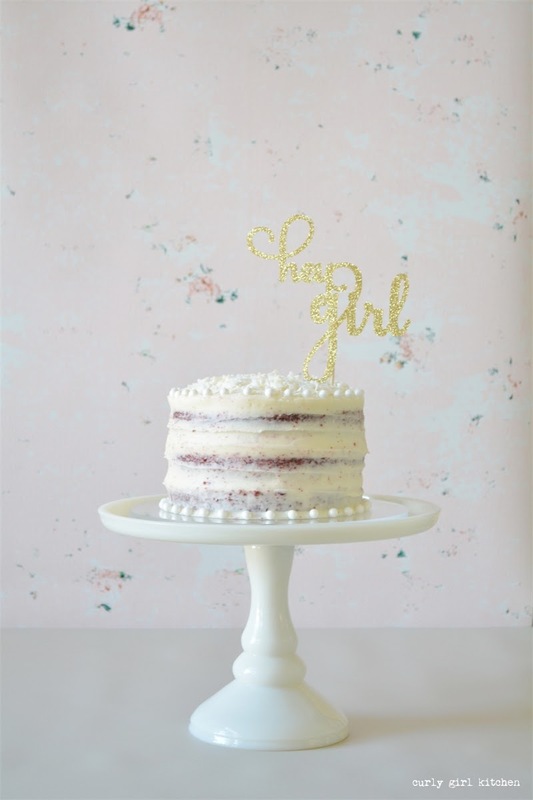 This is the year I turn 40, and as of April when our new baby boy arrives, I'll be quite outnumbered by all the boys in our house, but that won't stop me from doing all the same things with our little boys that I would have done with girls. They'll help me bake cakes and cookies and learn to help with household chores, and I know that Phoenix is going to be the sweetest big brother ever. 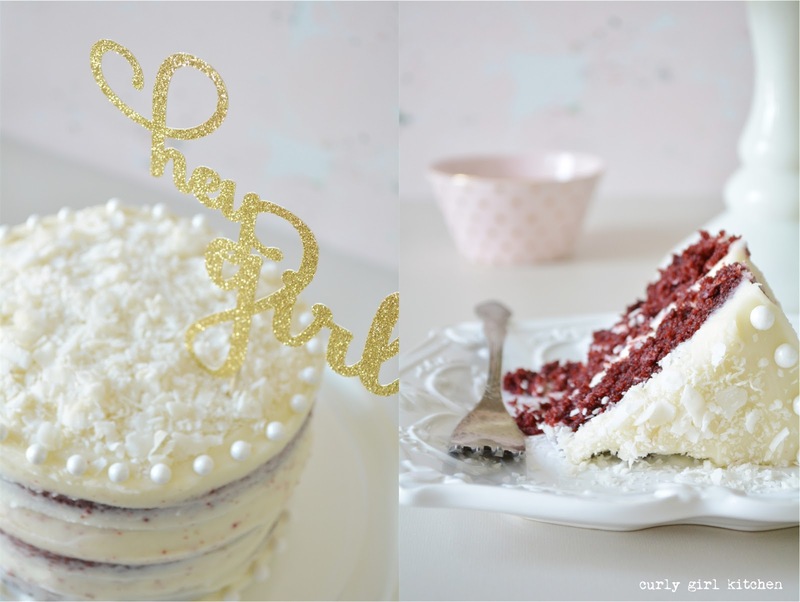 I can't wait to see everything that this year brings!